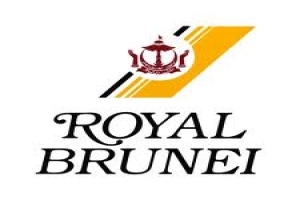 The Empire Hotel & Country Club, Brunei is to be the host venue for two most-awaited golf events of the year; the 2012 Asia Pacific Golf Summit (APGS) and the 2012 Royal Trophy inter-continental golf tournament. The three-day 2012 APGS is to be held from December 11 to 13 and the Royal Trophy Europe vs Asia Golf Championship is to take place between December 14 and 16. Speaking about the two golf tournaments, Ms Hafiza Mohamad, PR and Marketing Communications Manager, The Empire Hotel & Country Club, said: “We are honoured that the APGS 2012 is to be held at The Empire Hotel & Country Club and it is with great pleasure that we welcome the players and spectators who are joining us for the event, which is being staged for the first time in Brunei." Now in its fifth year, APGS 2012 is expected to feature 35 top professional golf players from around the world, including legendary golfer Colin Montgomerie as a celebrity keynote speaker. "The Empire Hotel & Country Club is renowned for the Jack Nicklaus signature golf course, which is complimented by our exceptional leisure and hospitality facilities. We look forward to offering an exceptional golf experience to the participants of the sixth edition of the Royal Trophy Golf since it brings together the golf masters from Asia and Europe in a unique series of continental team golf matches," added Ms Hafiza. 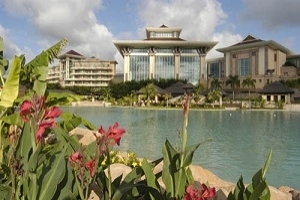 To attract golf enthusiasts who want to watch Asia’s most significant golf tournament whilst staying at one of Asia's luxurious golf resorts while being only a stone's throw away from all the action, The Empire Hotel & Country Club has introduced three and four-night ‘Royal Trophy Spectator’ Packages. Designed for couples, the golf packages offer guests a choice of premium accommodation and a host of added benefits including tickets to the event, return airport transfers and meals. Brunei, the Islamic Tourism place in Asia and one of the most wonderful and clean cities around the world. ideal stop-over or stand alone destination?